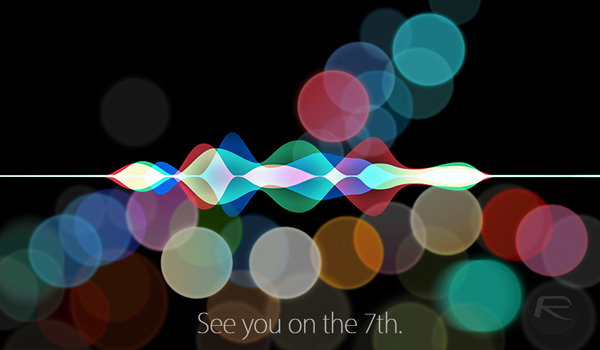 Apple today sent out invitations for its September 7th event, during which we expect to see at least two new iPhones get their debut. With the iPhone 7 and iPhone 7 Plus almost guaranteed to make an appearance, expectations are high, if a little subdued given leaks suggesting the new devices may not be the huge leap forward that we have come to expect from number upgrades. Those who are already counting down the days to the big event have been asking Siri about the day in question, with some mildly amusing responses being received. If you have been following Apple announcements for any length of time, you will likely be more than familiar with the fact that Apple’s Siri likes to offer up some choice responses when pressed on the date an announcement is set to take place. Whether these responses fall on the side of humor or just plain irritation will depend on your stance on Siri and the way Apple keeps forcing it to be humorous in an attempt to make it feel human, but the responses keep on coming regardless. 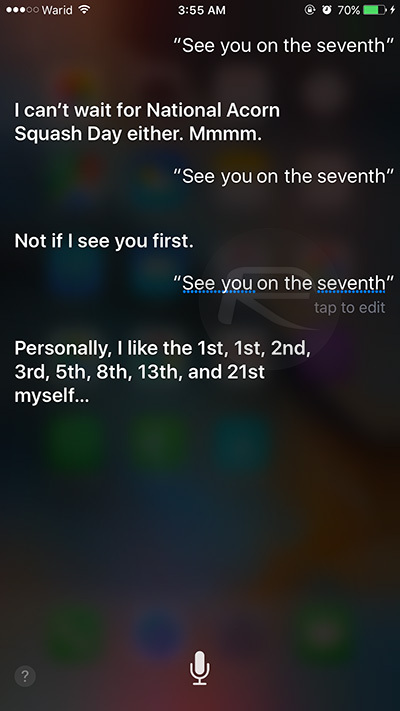 As people who have asked Siri about September 7th have found out today, the iPhone 7 launch is no different to those that came before it, with Siri determined to make people smile with the answers it throws out. I’m not sure I’d label any of the ones I’ve seen so far as funny, but a couple did at least manage to raise a wry smile from me. Following are a few examples of the kind of responses to expect from the digital assistant. She’d better not quit her day job. Stand-up comedy is not one of her strong-suits. LOL!